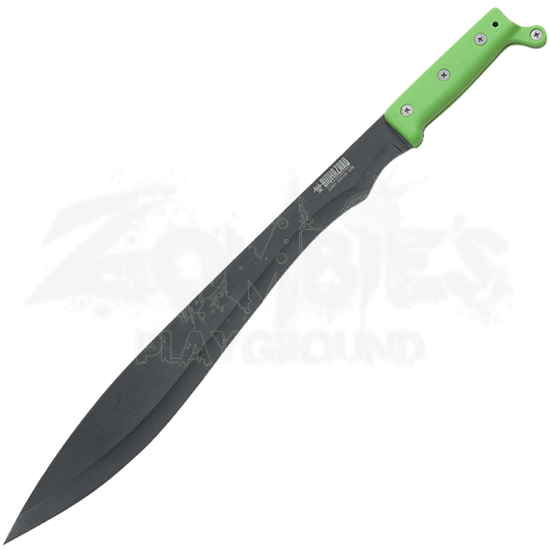 When a quick escape requires forcing your way through thick shrubbery, or in some cases, an undead horde, the Zombie Survival Tactical Machete has you covered. The versatility and power of its blade raise the odds of survival. Crafted from stainless steel, the full tang blade offers both durability and strength. 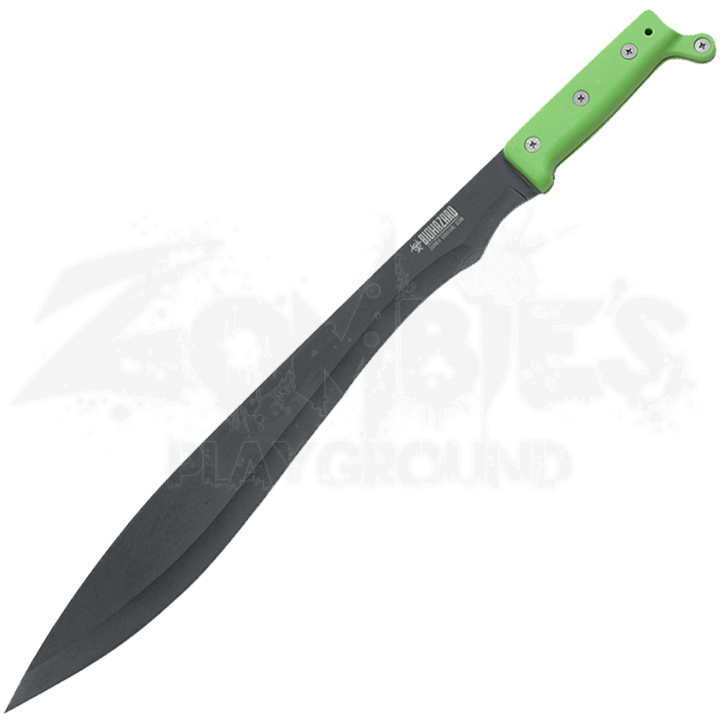 A black finish along with a neon green handle blends well with a post-apocalyptic world. The impact resistant handle supports a firm hold. The knob at the end assists even further in securing your grip. This helpful survival tool comes with a black nylon sheath.